Enjoy a great time with your colleagues. A unique opportunity to try out curling, a fun activity for all! We'll have great music from the 80's and 90's going. Teams of 4 adults compete in pools of 4 teams (so you get at least 3 matches). Each pool takes 1 hour to finish so you don't have to wait long in between matches. If you make it to the finals you'll play again around 9pm. 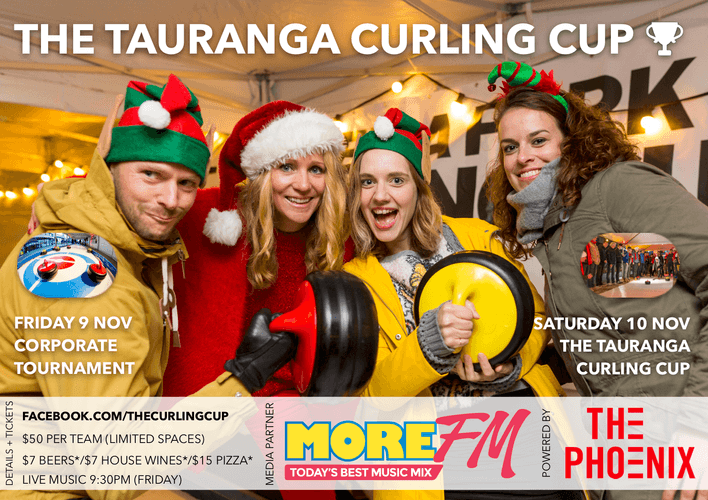 Who is going to raise the Curling Cup 2018?! Sign up your team now! Limited spaces. Contact with your team name and captain's details.